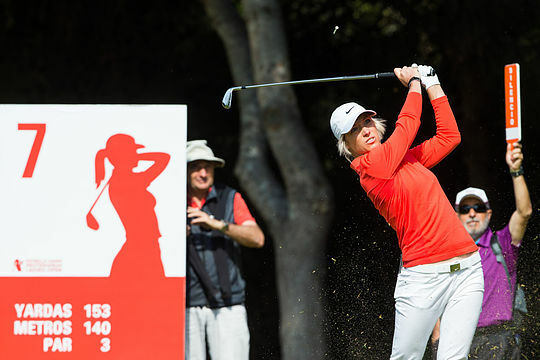 The Ladies European Tour is floundering and in desperate need of sponsors and more tournaments. That was the startling news from prominent LET player Melissa Reid during an interview with BBC Sport. Reid pointed out that with just 14 events scheduled for the season many of her fellow Tour players were forced to go and find part-time jobs. “It’s pretty much impossible to make a living otherwise,” said Reid, who, at just 30, has been on the LET Tour for the past 10 years. “The LET needs help…and quickly,” Reid told the BBC. There were reports the US LPGA, the world’s biggest women’s tour, had made an offer to help prop up the LET but when that offer was not accepted that avenue was believed to be withdrawn. “Golf is supposed to be the second highest-paid women’s sport,” said Reid. Reid said the situation was affecting the standard of golf, adding: “They are elite athletes but if they are having to work part-time jobs how are they meant to put in the hours to get the best out of their abilities? Going on last year’s LET rankings, England’s Georgia Hall led the money list with about £325,000 from 10 events. Spain’s Carlota Ciganda was a distant second with £140,000 while Reid was back in eighth with £80,000. Only the top 50 in the rankings earned more than the average UK salary of £25,000 for a woman – although that doesn’t take into account that the players also have to pay their own travel and accommodation expenses.